This week was time for our annual Jacobite Jaunt, where we head off with our volunteers to explore more sites that tackle Jacobite history. This year there was really only one choice for our destination and that was the National Museum of Scotland, which is running a special Jacobite exhibition, from 23rd June to 12th November, this year. The National Museum of Scotland (NMS), which can be found in Edinburgh, is a beautiful building and worth a visit any time you head to the capital, but this year it is extra special as it hosts one of the largest exhibitions of Jacobite history for at least 70 years. Following on from their very successful exhibition around Mary, Queen of Scots the NMS have now formed a fantastic display of artefacts including weapons, letters, portraits and unique trinkets that take the visitor on a dramatic journey through the whole of Jacobite history. When we arrived at the museum we were lucky enough to have a short talk with one of the curators before being shown around by one of their excellent volunteer guides. Needless to say we were all very keen and excited to be visiting and we were not disappointed. The exhibition covers the whole of the Stuart dynasty breaking down the action into sections so that the highly complex story is taken in nice manageable stages. The objects on display are fascinating and we all spent hours in the exhibit trying to take in every bit of detail. The collection is comprised of pieces from the NMS as well as many other collections throughout Britain and Europe. One of our highlights was seeing our own sword, known as the ‘Brodie Sword’ on display in the exhibition. It was lovely to see it on display in the capital and taking part in such an iconic exhibition alongside other incredible displays. Also on display are stunning letters and articles that, if you have the time, are wonderful to read. There are some great portraits and images that carry through subtle messages of power and monarchy. We also spotted a beautiful pin cushion embroidered with the names of men who fell at Culloden which was a lovely personal and sentimental item to see. The exhibition covers the history very well and it was great to follow the journey right from 1688 all the way through to Culloden and beyond. If you are in Edinburgh we strongly recommend visiting the exhibition. We were all very reluctant to leave and it would have been easy to spend a day in the beautiful museum. The NMS has done a fantastic job and it is a great spot to begin your introduction to Jacobites before you head north to see us! As always please like, share, comment, tweet and let us know if you have been to the exhibition. This week we thought we’d take the chance to highlight one of the artifacts on display in our Culloden Exhibition and have chosen the Brodie Sword. Reportedly commissioned and gifted by the Duke of Perth it is one of two swords and targes made for Prince Charles and his brother Henry. The sword would have been a symbol of power and used for display only, not as a weapon. 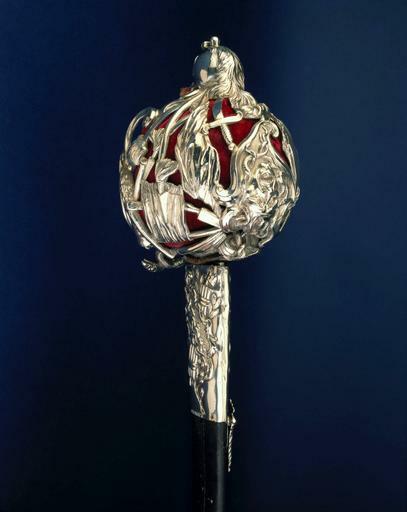 The sword came to the Brodie family through the marriage of Elizabeth Brodie to George, 5th Duke of Gordon in 1813 with the tradition that it had been taken from the Princes baggage train after Culloden. The sword is a basket-hilted broad sword from the 18th Century. The hilt is unmarked silver most likely of north European origin whilst the blade is German. The basket is a conventional shape outlined with rococo scrolls and is made from numerous small pieces cast in low relief and soldered together. It is highly decorative, and includes many symbols of Jacobitism, including the Medusa head. The symbology on the basket is based on Greco/Roman mythology suggesting an intellectual owner. Symbols include two serpents forming the wrist guard for wisdom and guardianship, a lion for royalty and a dolphin on the pommel to represent power of earth and sea. The labrys or doubled headed axe (later used as a Fascist emblem) is a symbol of power and appears in the centre of faches (pronounced fatch-ey), a bundle of birch rods tied with a leather strappins. Faches were dipped in pitch and lit for use as a flaming torch. Their symbolic meaning is of power through unity and civilization/enlightment by force if necessary. Interestingly this is also where the term fachism comes form. The medusa head was to strike fear into the enemy and was also a Jacobite symbol, in Greek myth if the medusas’ head was cut of the body would die but the head would continue to live, The Stuarts used this metaphor to infer that Britain would suffer without its natural head of state i.e. the Stuarts. Hopefully, you’ve enjoyed learning a little more about this piece and you know where to come to see it in real life! As always please like, share, follow, tweet, comment and let us know if you’ve seen this sword or its brother, which is on display in Glasgow. 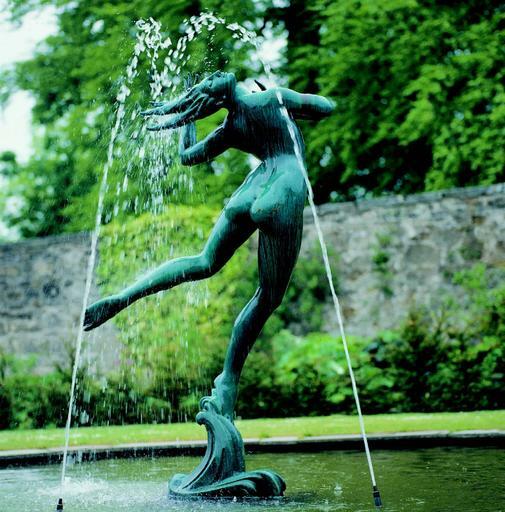 Time for a Scottish Escape…. With Summer upon us the talk has inevitably veered towards everyone’s holiday plans. We’ve all got our fingers crossed for some nice weather to enjoy our days off and maybe even catch a tan (or in my case just burn!) So, with that said we thought we’d highlight some of the unusual, gorgeous and fun places the National Trust for Scotland has available for holiday accommodation. We’ve picked our favourites and tried to cover all the bases but if in doubt check out www.nts.org.uk/holidays for even more great stays. We thought we’d kick things off with a bit of opulence. 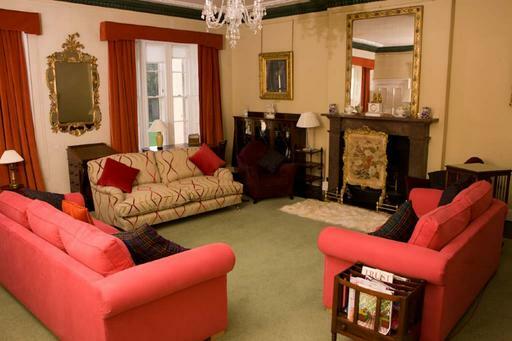 Home to the last Laird, Ninian Brodie this spacious apartment can sleep up to 14 people and it gorgeous. I say this from experience as I use to help clean the place when I worked there and was always jealous of anyone who got to stay the night. It’s a great place for wedding parties, birthdays and family gatherings and the dining table is big enough for everyone. There is also a great aga in the main kitchen but if it’s just a snack you need there’s even a cocktail kitchen upstairs, something I’d never even heard of before Brodie. From opulence to something a bit more unusual. What better way to spend your holiday than in the romantic setting of North Ranaldsay lighthouse. 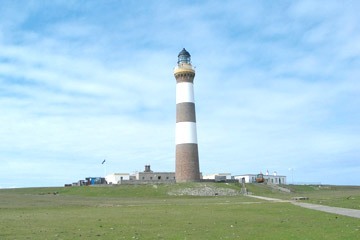 The lighthouse is the situated on the most northerly of the Orkney Islands and is the tallest land-based lighthouse in the British Isles. The remoteness of the cottages is definitely part of the appeal with the traditional ways of life still surviving today. And you don’t need to worry too much about the wild seas and blowing wind when you can go home and be greeted by a warm open fire. 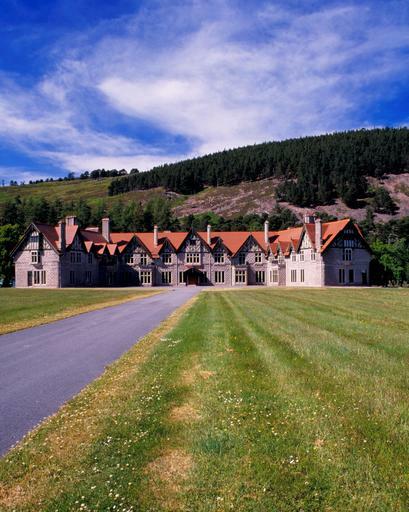 If you’re looking for something with stunning beauty all around why not try Mar Lodge Estate. 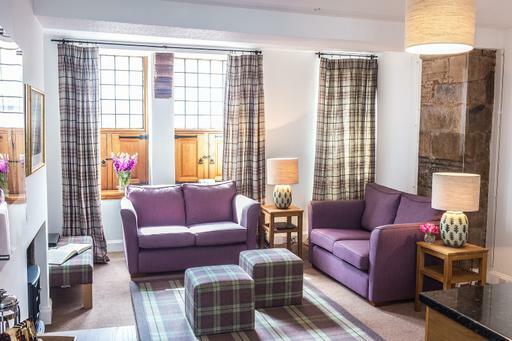 It has a range of apartments and is situated in the heart of the Cairngorms National Park. Recently used as the based for BBC’s Winterwatch, Mar Lodge is a beautifully restored Victorian sporting lodge creating a relaxing Highland retreat. I have been lucky enough to stay here and had a great time out walking before returning to the lodge and playing pool on their full size pool table. It also has its famous stag ballroom and plenty of stag heads throughout the lodge. A little creepy to walk through alone at night but spectacular none the less. Plus, it has its own generator which came in very handy when there was a power cut in the town whilst I was staying there. 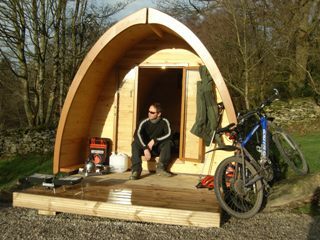 For those who are on a budget definitely consider the Camping Pods at Brodick. They are really cute and are very handy as they have a fridge, kettle, heater and you get use of all the extra facilities at Shore Lodge. With each pod sleeping up to four people they are great value and being based on the island of Arran provide a great base for exploring every corner of the island whether you’re aiming to climb Goatfell or check out the geology. Situated on Edinburghs royal mile Gladstones Land is often referred to as a hidden gem and the flat above is no exception. Right in the heart of Edinburghs atmospheric Old Town the flat is on the top floor and offers great views of Edinburgh and out towards Fife. Also, to get to the flat you get to climb up the original winding stone staircase which is great fun. Don’t worry though the flat itself is perfectly modern and is a perfect cosy spot in a great destination. Hopefully we’ve managed to tempt you with these properties but if not don’t worry because there are plenty more from seaside cottages to town apartments. Now all we need is the sun to shine and we’ll be all set for a great summer! As always like, share, follow, tweet, comment and let us know your perfect Scottish holiday spot! With some hail and sleet this week we’re being positive and hoping Spring is just around the corner. So, to share our positive outlook we thought we’d introduce some of our favourite gardens throughout the Trust to brighten up the day. We were going to do a top five which sounded perfect but we couldn’t decide and so it’s ended up having to be a top six. We’ve picked them at random so there’s no favourites just six great spots to enjoy a sunny day and walk amongst some beautiful spaces. This one had to be on the list. There is no way we can miss out the Highlands premier garden. Inverewe, on the west coast of Scotland is a pretty special place for a number of reasons. Created in 1862 Inverewe has its own special climate making it a secret oasis and allowing plants to grow that you would never expect. And secondly, the drive over is gorgeous. Winding through the majestic mountains before dropping down to come out on the coastal estate is beautiful. Skipping from the top of the country to the borders. More a series of gardens than just one Threave has been created over the years by students from the Trusts School of Heritage Gardening. It is home to a lovely secret garden, walled garden, glasshouses, terraced rose garden, azalea walk, rhodedendron garden and much more. The diversity of habitats allows Threave to host ospreys and is designated as a Bat Reserve for the wildlife enthusiasts out there. With a 240 hectare estate Crathes Castle offers a lot with six trails to explore. However, our highlight is probably the yew hedges as they stand out framing the croquet lawns. We do want to try and visit in Autumn though where apparently the Katsura tree drops its leaves with an aroma of toffee apples. Sounds lovely. This one had to be included because its a garden we know so well and visit so often being just 20 minutes down the road. The gardens are famous for their daffodils and in fact they actually host the royal collection of daffodils. In its hay day Brodie had over 400 different types of daffodils growing on the grounds and the team are slowly trying to grow this collection back up. There’s also a lovely pond walk and for the, little and big, kids a great adventure playground. We chose this little garden again for more personal reasons. Having studied in Glasgow this was just a short stop down the road and a nice place to relax away from the city. If you visit be sure to sit by the fountains on a hot day and let the water cool you down or take a wander and find the lovely snowdrops that use to pop up across the grounds in winter. Like Crathes Castle this garden in situated out towards Aberdeen and the Great Garden is definitely the highlight. Annual bedding plants create elaborate designs which are based from the 17th century. When it’s in full bloom it is spectacular with over 5 miles of box hedging in intricate patterns. Don’t fancy trimming all those hedges! Hello! 🙂 And welcome to our new blog! 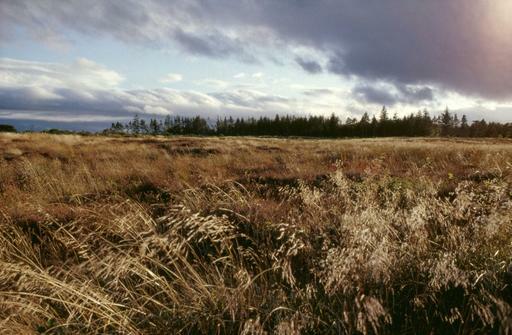 We are both lucky enough to work at Culloden Battlefield and Visitors Centre based in the bonnie highlands of Scotland and are both Visitor Experience Champions for the site. (We like the title because we get to call ourselves champions, pretty awesome.) Basically this means we look for new ways to make your visit more enjoyable, interesting, rewarding and of course fun. Thus, we came up with this blog to try and get you all excited about the National Trust for Scotland and all the amazing things it has to offer. Doubt us? Well when you’ve got castles, gardens, mountains, battlefields, cottages, islands, estates, houses, coasts and so on there is something for everyone! Now since we are based in the north we don’t deny that we might be a bit biased and its a given that we will be keeping you up to date on all the Culloden news since we are here quite a bit but fortunately there is a whole army of visitor experience champions across the country making sure we include every area and showcase all the best properties and sites across the Trust and hopefully found out bit to inspire you to visit!